The January transfer window is closed now, so who has done the best business? The mid-season sales have traditionally been the time when clubs battling the drop scrap to sign reinforcements, but who’s got value for money and should your side have done more? Shanghai SIPG’s £60million outlay on Chelsea’s Oscar was no doubt the biggest January transfer involving a European club. With the window now shut, we look at seven of the biggest signings this January. 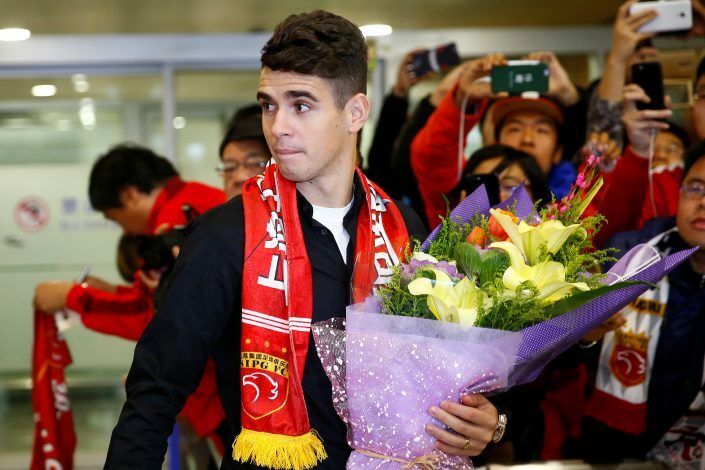 Oscar joined Chinese mega-rich club Shanghai SIPG at the beginning of the January transfer window and became the first major star from the Premier League who accepted the wealthy Chinese Super League’s glamour. The transfer fee for the attacking midfielder is believed to be £52million, while he would bag almost £20million-a-year in wages. Oscar made 203 appearances for Chelsea, scoring 38 times since arriving in the 2012 summer from Internacional in his native Brazil. Many have accused Oscar of showing a lack of ambition as he left a club that competes at the highest level on a global scale for a league that is still in relative infancy. It was a huge move from the Chinese league’s point of view, as the transfer business potentially set a precedent for other Premier League stars to make a move at the peak of their careers rather than in their twilight. Carlos Tevez emerged as yet another high-profile international player to make a move to the Chinese Super League when Shanghai Shenhua confirmed the Argentine striker’s signing from his boyhood club Boca Juniors. The Chinese club paid £73m for Tevez, who went back to Argentina last year after his illustrious spells in England and Italy. The hefty price tag made Tevez the world’s sixth most expensive player, behind Paul Pogba, Gareth Bale, Cristiano Ronaldo, Gonzalo Higuain and Neymar. Tevez also became the highest paid player with the striker believed to be earning around £615,000 per week on a two-year contract with Shanghai Shenhua. The 32-year-old was the second big-money arrival in China in less than a week after former Chelsea midfielder Oscar joined Shanghai SIPG. The Drama finally ended. 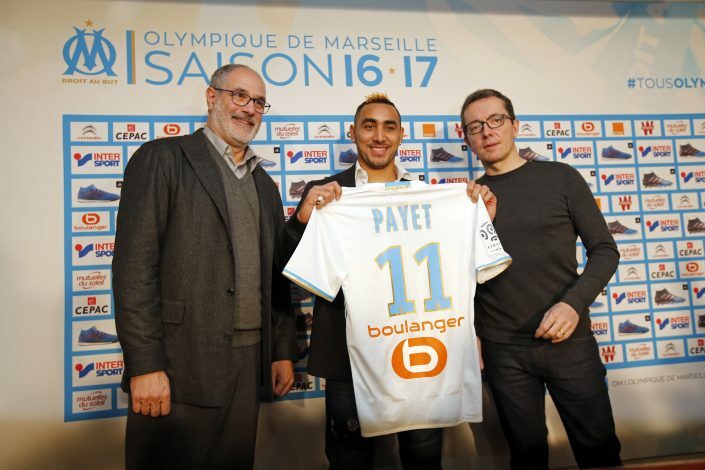 Dimitri Payet agreed to a four-and-a-half-year deal at the Stade Velodrome to complete his move to Marseille after a £25 million fee was agreed by West Ham. The 29-year-old was desperate to leave West Ham and had not appeared for Slaven Bilic’s team since refusing to play against Crystal Palace on January 14. The French attacker, who arrived from Marseille the 2015 summer, was certainly a big hit in his debut season with the Hammers, scoring 12 goals in 38 appearances. He also agreed to a hefty new contract until 2021 before starring for his country as they made it to the Euro 2016 FINAL on home soil. But things then turned sour only earlier this month when Payet angered manager Bilic when he handed a transfer request and declined to play against Palace. He was subsequently forced to train away from the first-team as the saga over his uncertain future dragged on. Axel Witsel completed his January move to Chinese Super League club Tianjin Quanjian from Zenit St Petersburg after turning down a sensational offer from Juventus. The 27-year-old Belgian actually came within hours of joining the Italian champions in the summer, only for a deadline-day move to collapse, and was almost certain to complete the potential switch in the January window. However, interest from China, which came with a reported wage of £254,000 a week, forced the Belgium international to join the likes of Oscar and Tevez in going for an adventure to the Far East for a fee believed to be £18million. Witsel, who has played 76 matches for Belgium, will now play under former World Cup-winning captain Fabio Cannavaro at Tianjin after signing a five-year deal. Memphis Depay completed a £21.7 switch to Lyon during this January Window, putting an end to his doomed Manchester United career. Depay joined Manchester United with a huge burden of expectation to prove his credentials for one of football’s most reputable clubs. Maybe the pressure was too much or he just wasn’t as good as the world believed he was, but ultimately he failed to deliver and was subsequently the subject of so many speculations throughout the season. Having played only four Premier League games this season, and featuring for a drastic 8 minutes since the end of October, everybody knew the Dutch winger wasn’t a key component of Jose Mourinho’s plans, considering the strength in depth in wide areas United now have. But in the end, his doomed Old Trafford career came to an end, and Depay has secured a £16m move to Ligue 1 club Lyon, with the fee potentially rising to £21.7 including add-ons. The 22-year-old netted seven goals in 53 matches since joining United for £25m from PSV Eindhoven in May 2015. 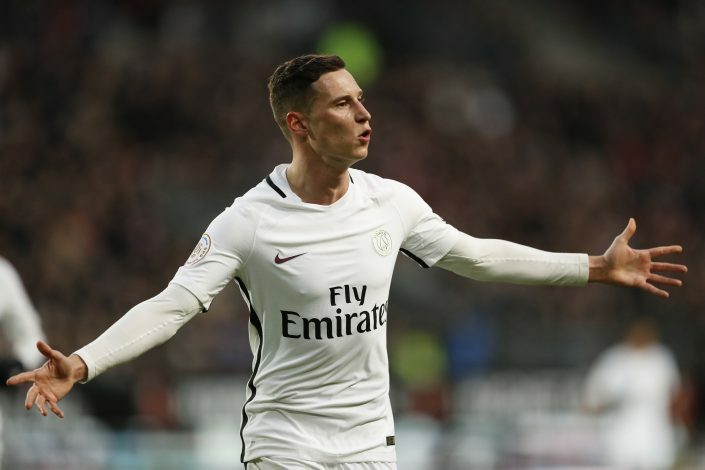 Ligue 1 giants Paris Saint-Germain signed Germany international Julian Draxler in a whopping £35.5 million deal from Wolfsburg. Draxler, who had long been a genuine target of Arsenal, agreed a four-and-a-half year contract with PSG, committing his future to the French champions until 2021. The 23-year-old German found it really hard to discover his best form for Wolfsburg this term in what has been largely a disappointing campaign for the Bundesliga side. However, he is still tipped as one of Europe’s top young talents and PSG made the right decision to bring in the winger early in the January transfer window. Draxler has already proved himself in the international arena making 27 appearances for Germany, scoring three goals. He was a key figure in Joachim Low’s team that won the Brazil World Cup and also proved to be a perfect fit for Die Mannschaft at Euro 2016. However, the winger struggled to live up to the expectations in a Wolfsburg team which has failed to compete with the top clubs in Germany over the last two seasons. Morgan Schneiderlin reunited with former boss Ronald Koeman after agreeing to a four-a-half-year deal at Everton. The France international left Manchester United for an initial fee of £20million, which could rise to £24million, to link up with Koeman once again having played one season at Southampton under him. Schneiderlin arrived at Old Trafford for £25million in the 2015 summer but after one only season under Louis van Gaal, he fell down the pecking order when Jose Mourinho took charge for the current campaign. The French international found himself surplus to requirements this term, with Michael Carrick and Ander Herrera among the players most of the times preferred ahead of him in midfield. 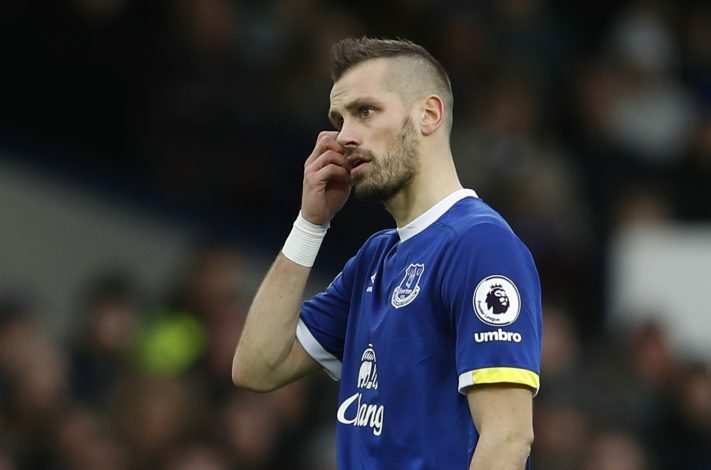 The 27-year-old midfielder made just eight appearances under the new United manager, and only three in the Premier League as a substitute, so Schneiderlin would be hopeful that the move to Goodison Park will bring out the best in him as he left behind the Mourinho nightmare behind him.